Who will win the fight between Harpy Eagle and Steller’s Sea Eagle? Harpy Eagle vs Steller’s Sea Eagle, Harpy Eagle is one of the world largest eagle and the most powerful eagles in the world, it is the only eagle member of Harpia species, and the females are generally larger than males in harpy eagle. 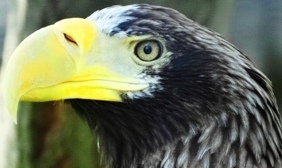 Male weighs 4 kg to 5.5 kg and females can weighs from 6 kg to 9 kg, it is one of the tallest eagle in the world. Conservation status of harpy eagle is least concerned as described by IUCN (International union for conservation of nature). Steller’s sea eagle is the world heaviest eagle which weighs from 5 kg to 9.5 kg, although harpy eagle is also weighs same as steller’s sea eagle but on average weight basis steller’s sea eagle is the heaviest one. Females who weigh 6 to 9 kg are larger and heavier than males who weigh 5 to 7 kg on average and conservation status of steller’s sea eagle is vulnerable as described by IUCN. Harpy eagle found in Mexico, Central America and South America, Royal hawk is the name for Harpy eagle in Brazil, on the other hand Steller’s sea eagle is found in Russia, Japan and Korea and mainly lives in coastal areas. Harpy eagle mates after the age of 4 years and lays only 2 eggs from which if one egg hatches then harpy eagle ignores the second one which as a result fail to hatch. 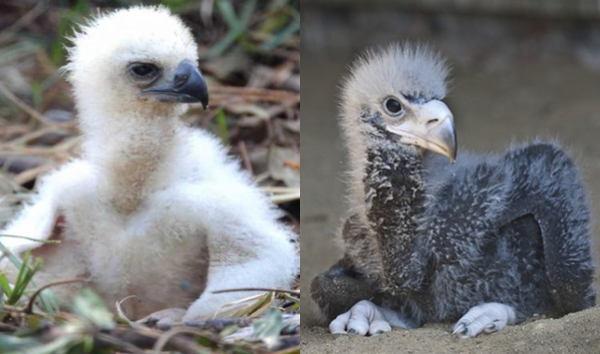 Parents protect their chicks until it fledge and chick spend his first one year with his parents on the other side steller’s sea eagle can lays 3 eggs and their eggs are slightly bigger than of harpy’s eagle, incubation period can be range from 40 to 45 days. Everyone wants to know which one is the largest eagle in the world is, whether it is harpy or steller’s sea, so here is the answer. 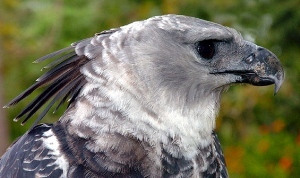 Harpy eagle is the largest in muscle area & also the tallest and steller’s sea eagle is the heaviest eagle in the world. Many of the experts consider that Harpy eagle is the world largest eagle and other two eagles that are close to harpy are steller’s sea eagle and Philippine eagle. 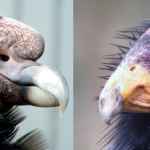 To know more about their physical description and their hunting techniques let’s take a glance at the below given chart on Harpy Eagle Vs Steller’s Sea Eagle. 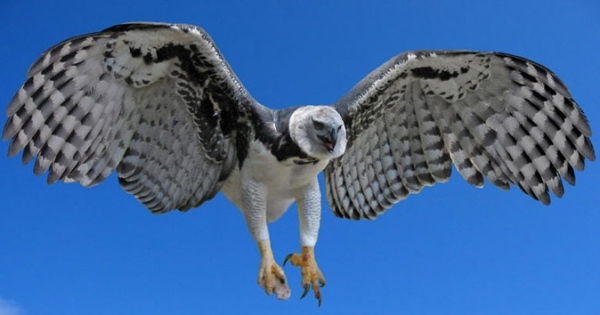 A Harpy eagle is an apex predator and mainly preys on monkeys and sloths, other preys are squirrel, anteaters, opossums and porcupines etc, on the other side steller’s sea eagle mainly preys on fish especially salmon and trout, in salmon their favorite salmon is pink salmon and chum salmon. According to the both eagles diet we have a conclusion that harpy is the dangerous one because they feed on hard and dangerous mammals like monkey, sloths and porcupine. Harpy eagle’s talons are also the largest one and it measures as large as grizzly bears claws. Physical description of both harpy and steller’s sea eagle is powerful but harpy eagle physical description is slightly bit stronger than steller’s sea eagle. In head to head fight between steller’s sea and harpy eagle then there is no doubt harpy eagle will win the fight because harpy is the true natural predator and live in the more dangerous habitat than coastal steller’s sea eagle. No Harpy eagle is not the largest of all eagle that title belongs to the Philippine eagle. It maybe reouted to be the strongest of all raptors due to its large claws and legs which is the major weapon of all raptors. But if you will try to search with accordance of what experts says. 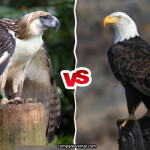 Both the Philippine eagle and the Harpy eagle are the two strongest and most powerful living eagle specie. Who will win between the two is a big debate and it depends on individual specimen in combat with each other. The harpy eagle is really a powerfully built eagle while the Philippine monkey eating-Eagle is known to of its fast or agile moves like a goshawk with very agressive characteristics even catetakers in which they have seen everyday experinces attacks. Philippine eagle is the only living eagle larger in size than the harpy eagle. What makes the stellers considered as the largest eagle is its weight but lags behind all other measurements than the two. So when in terms of weight its the heaviest of all eagles but in size it ranks third next to Harpy eagle. This is the latest facts. on average harpy is the tallest but in stats some philippine eagles are the tallest one. well in fight, for every bird most dangerous weapons are their tallons and harpy has the largest of all eagles. Again the average reported height of the Philippine eagle is equals to the maximum reported from Harpy and stellers eagle. 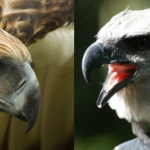 In terms of wingspan the Philippine eagle is the only FOREST EAGLE eclipsing harpy eagle. Another latest fact the Harpy eagle is arguably the bulkiest eagle still alive, of all the world’s largest living eagle eagle specie the Philippine eagle is the only eagle specie to SURPASS it in size, hence it is larger than the Harpies. This are the latest facts widely approved by scientist organizations and credible websites like wikipedia, animal diversity web, encyclopedia of life, world bird encyclopedia, ARKIVE image of life on earth, BBC, The National Geographic Channel, Philippine Eagle Foundation, Chcago field museum, Harpy Eagle Foundation and World Wildlife Fund..and so many others. I think we dont need to argue things lets just put everything by the books. Those sites and organizations have credibility to protect they will not published things by jusy guessing coz for sure all their hardworks will end up nothing for just a simple things. One small mistake for them means a lot to others. In terms of talon size i know its a primary weapon of every raptor but Its not about the looks it about what they have proven. I always put my money on those logical answers. 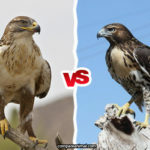 Crowned, martial, and golden have the most impressive prey takings compare to philippine and harpy eagle, but due to their size these two are globally recognized as most powerful eagles. 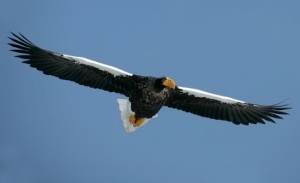 The Steller’s sea eagle is the largest in terms of weight at up to 20.944 lb. It has a longer wingspan and largest most powerful bill of all eagles. The Harpy eagle is the second heaviest with the largest talons of any eagle. The Philippine eagle is the third heaviest but the tallest eagle. It has the largest wing surface area of any eagle and the longest length from bill to tail tip.